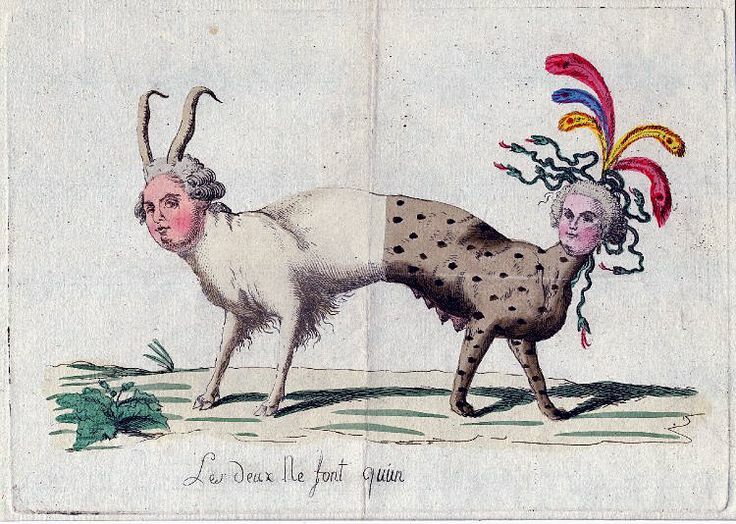 Obviously, this is made to ridicule the couple and to show how the people thought of especially the Queen's role - the French people was convinced that the Queen possessed a massive political influence over her husband - which was completely untrue - and in this way they were "one beast with two heads". "Where is she from?" - "From every bed in Paris!"